Regular wine-loving visitors to this site will know that I’m a fervent believer in the Finger Lakes region of the far northern New York state. And I’m not alone: many reputed international wine critics share my opinion that the region’s best Rieslings rival those from that grape’s native Germany. And while the reds have yet to make such a mark, Cabernet Franc shows great promise in the Finger Lakes as it does up and down the relatively cool American East Coast: when I hosted a taste-off between Cab Francs from the Loire and New York a couple of years back, the Finger Lakes competitors more than held their own. The aptly-named Finger Lakes are in the far north of New York State; they form the USA’s coldest wine region of repute. As such, I’ve long desired to visit the region and, after making the move Upstate this summer, was finally able to act on that idea. From our new home in the Hudson Valley, it’s only a three hour, 145-mile drive to the Finger Lakes, the same distance and time as we used to commute from and to Brooklyn every weekend. And so, on a Friday evening in late October, we loaded up the car with family and headed north-west, finally making camp at a delightful bed and breakfast called “Mom’s” just outside the town of Trumansburg. (When you’re traveling with a baby, you need a maternally welcoming B&B.) The following morning, my long-term wine buddy Joe Moryl, a former Upstate native who’s a leading expert on Finger Lakes wines, stopped by to collect me in his car; while my wife went into Ithaca with the kids, Joe and I headed off for a day of tasting. Sadly, several factors conspired to make the experience something less than stellar. 1)	The weather. “Fall” can be the most beautiful time of year in the north-east, as the leaves turn all manner of almost unimaginable hues. But it’s also the season when the mercury drops and the rains arrive. Sadly, we were subject to torrential downpours all afternoon, compounded by a steadily worsening fog that thoroughly obscured the Lakes even as we stood but fifty yards from them. 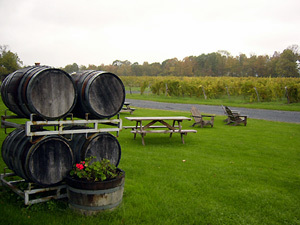 At Thirsty Owl, we struggled to make out Lake Cayuga beyond the vineyards. 2)	Saturday is tourist day. I was unaware the extent to which “tourists” descend on the wineries in their limousines and coaches with the express purpose of getting drunk. The longer the day went on and the more it rained, the more these drunkards ran out of outdoor options and preyed on our patience in the tasting rooms. I revisited a few wineries the following day, and they were almost deserted by comparison and that much more welcoming as a result. 5)	Vintage. All wine regions are subject to vintage variations. But some suffer greater extremes than others. The Finger Lakes rarely gets more than 200 frost-free days a year; cool wet summers, occasional droughts and spring-time cold snaps further test the producers’ patience. Allow that many of these producers lack the experience handed down through the generations as across “old Europe,” and you understand why the wet summer of 2003 produced a lack-luster harvest, and how an unexpected warm spell in January of 2004 followed immediately by a lengthy, seriously cold snap, saw many wineries lose entire sections of their vineyards. The 2005 vintage will prove equally daunting for entirely opposite reasons: parts of the Finger Lakes received an unprecedented 26 days of 90-plus degree weather over the summer. The process of wine-making is steeped in romance, but as with all love affairs, it’s not without heartbreak. 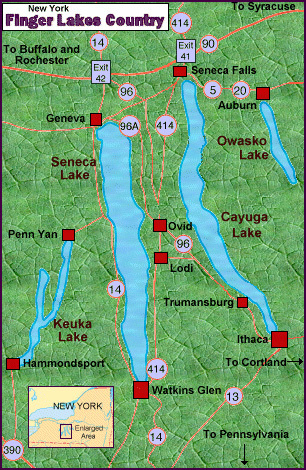 As this map shows, the wineries of the Finger Lakes are spread out getting to them all is a lengthy process. We focused on those around Lodi, Ovid and Trumansburg. 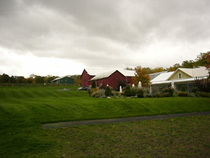 This 20-year old winery, founded by Cameron and Maren Hosmer, sits on the north-western edge of Cayuga Lake’s wine trail, but falls somewhere in the middle of the Finger Lakes hierarchy in reputation, size and age. As with all the wineries we visited on the Saturday, Hosmer charged a token tasting fee: $1 for four wines. As with most of the wineries, Hosmer offers a number of single-varietal bottlings from “noble” grapes, a few hybrids out of old habit and ongoing faith, and sweet wines of varying degrees of Residual Sugar and drinkability for the untrained tourist’s palate. Hey, everyone has to make a living and to this end, and as with almost all the wineries, Hosmer also offered jams, jellies, sauces, postcards, and any number of wine peripherals for sale. To cater for the coaches and limos, Hosmer has three tasting areas; we were greeted, politely and pleasantly as befits early morning shoppers, in the main area. We started strong. The 2004 Chardonnay we found clean and pretty, thankfully devoid of the advertised “toasty oak” and offering instead pure apple and melon flavors backed by lively acidity; Joe pounced on a bottle and the following morning, I acquired one too. It’s since been opened and enjoyed with much the same impression of honest simplicity and modest quality. At $12 it was the right price, too. The 2004 Dry Riesling was more tropical than expected, full of tangerine and orange where Joe remembered crisp apple flavors from prior vintages. But it felt simple on the mid and back-palate. Though at $15 it was pushing the price bracket, it was a far better value than the 2003 Vintner’s Reserve Riesling, which Hosmer claims is “made of the best fruit our estate has to offer.” The 1.8% Residual Sugar gave a hint of sweetness, but while the peach and pear flavors shone through, it was unspectacular and certainly not worthy of its $25 price tag.. Nor were we greatly impressed by the non-vintage “Champagne,” especially given that no winery outside of a specific region in France should be using that term – and all the more so given that this Sparkling Wine was made not with the usual Champagne (and Finger Lakes) grapes Pinot Noir and Chardonnay, but with that old hybrid warhorse Cayuga White. Very fruity and overly acidic, Joe compared it to a Moscati. I couldn’t be even that enthusiastic. Sadly, the 2004 Pinot Gris, a grape of increasing popularity in the Finger Lakes, was already sold out. So we moved on to a Dry Rosé blend of Cabernet Franc and Seyval Blanc, which was intriguing, with a spicy tea flavor and a sharp but not overly acidic attack. Such blends are not uncommon in the Finger Lakes, allowing vintners to experiment with the best of both worlds, though one is equally tempted to believe they’re also just dumping grounds for grapes and vintages that don’t merit individual bottling. 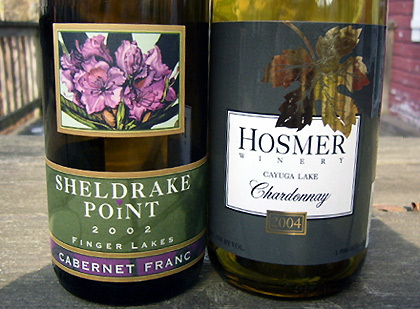 …That might be because of Hosmer’s 2004 Pinot Noir. 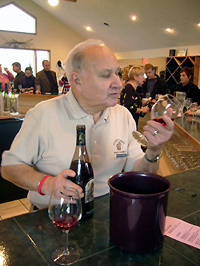 Pinot Noir is well suited to the Finger Lakes, and I have had a couple of quality examples in the past from both Dr. Frank and Fox Run, but it is of course, a famously fickle grape demanding of great expertise in the vineyard and the cellar, and few Finger Lakes bottlings have impressed international reviewers. I was, however, knocked out by the varietal integrity and overall quality of the Hosmer wine, which emitted a big up-front black cherry nose, some pleasant strawberry flavors showing through on the palate and a solid earthy texture. I initially passed up its $25 tag, trusting that the rest of my day’s Pinot Noirs would be equally enlightening and better value. I was wrong. I returned the next morning for a bottle, price be damned. Without doubt Hosmer made the best Pinot Noir I tasted all day. Founded in 2002 by Jonathan Cupp, who bought up the old Cayuga Lake winery’s vineyards (the old winery’s barn remains intact on adjacent land), Thirsty Owl gets to harvest some of the region’s oldest vineyards while bringing a new attitude and approach. It is, for example, among a handful of Finger Lakes wineries daring to plant the warm weather grape Syrah in this cool climate territory. Such lunacy aside, Thirsty Owl makes good wines. They were poured for us by one Matthew Bonacci, a genial old fellow who seemed entirely unperturbed by our knowledge of wine and, with a contented obstinance that may merely have been down to his hearing aid, ran through a prepared speech all about how Riesling is the King of White Wines, Pinot Noir has its roots in Burgundy and Syrah hails from the Rhône. Such service, while unnecessary in our case, should not be sniffed at: at other times on our travels, our pourers would have been hard-pressed to tell us the time of day. 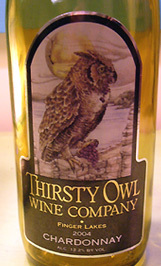 The Thirsty Owl 2004 Chardonnay was a delight. Stainless steel fermented followed by three months’ oak aging, it is now a clear yellowy-gold color, offering some buttery apple on the nose and front palate, leading then into a crisp steely Granny Smith finish. (And for once, such a description is more than merely poetic: I bought a bottle of this Chardonnay and, a couple of weeks later, finished it off while munching on a Granny Smith; the food and drink almost melded into one.) At $12 a bottle, this is east coast wine as it should be. L: Matthew Bonacci pouring wines at Thirsty Owl, oblivious to our knowledge. R: The Thirsty Owl Chardonnay, made in an honest-to-goodness style..
By comparison, I found the 2004 Dry Riesling overly simple and unexciting. The 2004 Semi-Dry Riesling, with a full 2% RS, was more interesting, maintaining the green apple flavor while throwing up some tangerine that seems typical of the region’s Rieslings. Had I been visiting less and buying more, I might even have left with a bottle. We passed on the 2004 Merlot, given that the grapes hail from the North Fork of Long Island, and instead headed straight from the 2004 Pinot Noir, hoping for an experience to rival the Hosmer. Made from 25-year old vines – ancient for the Finger Lakes – it was a light color, with a pleasant cherry aroma, some earthy qualities and enough tannins to invite short-term cellaring, yet I’d expected more from the finish and was disappointed by the overall flavor. Joe Moryl reminded me that the older Finger Lakes wineries (like Cayuga Lake) typically planted hardy and austere Pinot Noir clones; the best Finger Lakes Pinots, he assures me, will come from younger plantings of better clones, several years down the line. Time will, of course, tell. We paused for a quick taste of Lot 99, a blend dominated by the hybrid grape Chancellor and rounded out by Pinot Noir. As Matthew noted, “it’s not designed for medals,” and while I somewhat enjoyed its spicy meaty flavors, it’s essentially a jug wine and hardly deserving of its $14 price tag. We jumped, instead, with nervous enthusiasm, into a Thirsty Owl debut, its 2004 Cabernet Sauvignon-Syrah. Aussie wine fans will know the Cab-Shiraz blend as their nation’s distinct contribution to the wine world, though they might scoff at the idea of such warm weather grapes reaching full ripeness in the wet summers of the Finger Lakes. In which case they would have a point: Thirsty Owl’s 80% Cab-20% Syrah blend suffers both from young vines and the short growing season, a “noble” but unsuccessful experiment that may yet make for a more interesting wine in the hot 2005 vintage. Indeed, Thirsty Owl still had its Cab Sauvignon grapes hanging on the vine as we talked and tasted; they were due to be picked the following Monday. If they hadn’t drowned under the recent rains, they may make for a decent wine a year from now. We shall see. In the meantime, Thirsty Owl remains an experiment in progress. By comparison, Sheldrake Point shows what you can achieve in just a few short years with the right combination of money, marketing and manpower. Established in 1997 by a partnership drawn from across five families, the Sheldrake Point estate is home to some 40 acres of vinifera grapes, a state-of-the-art winery and a busy bistro – all set right across the road from Cayuga Lake, a pristine setting in anything like normal weather. The lay-out of the land invites a ramble through the vineyards (print out the map from the web site to see which varietals are growing where), the bistro has jazz music for Sunday brunch and, by offering various price structures, the tasting room allows access to all the company’s available wines. There’s too many of them, for sure, but the web site (bless technology) confirms that, despite all the experimental tom-foolery, Sheldrake’s business is built around the obvious: over half the land is planted to Riesling and Cabernet Franc. Sheldrake Point sits right across the road from Cayuga Lake. The winery is modern with a bistro to eat in and vineyards to wonder. Of the former, I was taken by the 2004 Dry Riesling, which had a potent nose and considerable depth of fruit and mineral flavor. A serious wine, it was every bit as good as the overly honeyed 2003 Reserve Riesling, and only half the price. I passed on the Chardonnay, the Summer White blend and the Rosé and moved straight to the reds. In particular, I was intrigued by the possibilities of a 2004 Gamay – the grape of Beaujolais, and one that many “in the biz” feel should be planted more widely in the Finger Lakes. Sadly, this offering was so light in color it could almost have passed as a rosé, and lacked the bubble-gum raspberry fruit of its French cousin. Given that the vines date back to 1997, it’s hard to think of an excuse. Disappointing. Moving on, our pourer handed us the 2004 Pinot Noir with the dismissive invitation, “You tell me what you think of it.” We responded that it was simple and light. Way too light. Completely lacking in depth. “I’m from Oregon,” she said. We left it there. We lingered instead over the 2002 Cabernet Franc, which again confirms this grape’s suitability to the region. It had a nice dusty color, a good nose of raspberry and cedar, and was well balanced on the palate with a long, lean, lightly peppery finish. Sixteen months in oak and 10% Merlot made it somewhat universal in texture (and surprisingly medicinal in taste) but I was immediately attracted to it: I bought a bottle in favor of the 2002 Cabernet Franc Barrel Reserve, which had seen considerably more oak, a fair dollop of Cabernet Sauvignon, was more expensive and, as with most of the wineries’ Reserve bottlings, was ultimately a less satisfying drink. A 2002 Merlot (with 15% Cabernet Franc) had also spent 16 months in oak, producing a plummy, gingery, leathery wine that was a satisfactory rendition of this grape. I was less taken by Sheldrake Point’s two hangovers from the supposedly excellent 2001 vintage. 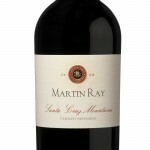 The 2001 Cabernet Sauvignon was dominated by cedar notes rather than fruit and felt oddly out of whack. The 2001 Meritage – 50% Merlot, 30% Cabernet Franc and 20% Cabernet Sauvignon – was a good wine in every regard except individuality: smooth, plumy and toasty, it told you nothing about itself and everything about popular taste. On Sunday morning, without the crowds and with more personal attention as a result, I returned to taste the 2004 Bunch Select Riesling which, with unctuous amounts of pineapple and apricot flavors, and just the right touch of botyritis, makes an ideal after-dinner drink. The $22 price tag for a 375ml bottle might seem optimistic, but it’s a bargain compared to Sheldrake Point’s $50 half-bottles of Cabernet Franc and Riesling Ice Wines, let alone the $99.99 for a ‘Vin de Paille’ made in an Amarone style. “Produced over 3 vintages from hand selected grape clusters, then hung and dried for weeks” it may be, but classic aged Amarone – the real Italian deal – is available in many New York wine stores for considerably less. Sheldrake Point seemed to be everywhere that Saturday. It was the only local winery offering tastings at the Ithaca Farmers’ Market, where my wife picked up a sweet ‘Summer Red’ blend of Cabernets in a frosted bottle for reasons I don’t fully understand. It was also the only local winery represented by the glass during our dinner at the Simply Red bistro that night, where the Luckystone Red, a mix of Pinot Noir, Cab Franc and Merlot, fell into the “inexpensive rejected grape blend” category of a Lot 99. 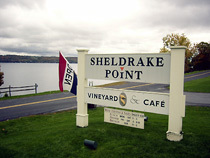 In ambition and approach, structure and style – of winery and wine alike – Sheldrake Point resembles less one of the rustic jug wine/grape jelly operations that once typified the Finger Lakes, and more one of the monied marketing-savvy businesses that have come to dominate Long Island. Clearly, the Finger Lakes have been discovered, colonized and are now in the process of rapid gentrification. And like it or not, Sheldrake is Pointing the way forward. Part 2 to follow, featuring visits to Bloomer Creek, Atwater, Standing Stone, Red Newt, Lucas and Frontenac. Good Post. Can’t wait for the next part. Too bad you had such bad weather (I think I know which weekend you were there, very miserable rains) because the scenery and views of the Lakes themselves are worth the visit on a sunny day. Yes, to any of you that are planning to visit Finger Lakes wineries for the first time, an important thing to remember is to plan at least one weekday for visiting wineries. You will most likely have the winery almost to yourself on weekdays, but weekends they are sometimes very crowded (especially over the Fall foliage and Holidays from October thru December), with all manner of stretch limosines of every kind (stretch Hummers, stretch SUV’s, and I’ve even seen stretch pickup trucks now). Thanks again for the post. I have a vacation home near Seneca Lake, so I spend a lot of time there visiting the wineries. I am a relative newbie to “critical wine tasting”, but I’m trying to learn all I can. Your post gave great info on the specifics of the wines and the grapes involved. I will put a link to it on my blog. I was very interested to hear your thoughts on Sheldrake Point. I am not a serious wine enthusiast, but I have made number of Finger Lakes winery trips and had never come across Sheldrake Point or even heard of it. I was introduced to their Chardonnay (which I noticed you didn’t try, lol) when my wife and I were having our anniversary dinner at The Sienna Grill and Bar in Rochester. The Chardonnay was paired with the salad course of the chef’s menu (four wines paired six courses plus dessert – very highly recommended btw). Anyhow, this was my favorite wine out of group and I plan on picking up a bottle. It sounds like overall Sheldrake Point is maybe focused more on style than substance? I’ll have to see if the Chardonnay holds up to a second tasting – I may have been biased because my wife and I had such a great evening. You know, when I posted this piece last week I explained to my visiting mother that the Wine write-ups on iJamming! are, even more than the rest of it, a pure labor of love – i.e. that nobody comes here for the wine. Lo and behold, I post this piece on the Finger Lakes and find a regional blogger making comments within minutes. Thanks for that – definitely makes it seem worthwhile. And thanks for linking to me from your new site, too. Very much appreciated. Obviously I learned the hard way about visiting on a Saturday – come the spring I hope to return amd will be sure to do so during the week. Zobes, thanks for the post too. That’s interesting you hadn’t heard of Sheldrake Point – they really were everywhere during my trip, even though their wines don’t make it into NYC the way some of the otehr wineries do. I believe that I skipped the Chardonnay becasue it made copious references to “oak” – which I generally like to avoid unless the wine is big enough (which usually means Californian) not to lose its flavors in the process. I don’t know if the quality of FL PN (or lack thereof) is mostly a function of the clone, although that certainly will be a factor. 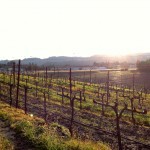 Many of the older PN vines are of unknown clones (like the ‘Geneva’), or clones like the ‘Dr. Frank’ clone (aka #7). Some winemakers have told me that these clones are more suitable for making sparkling wine and produce very lightly colored wines (which does seem to be prevalent). Did the guy at Thirsty Owl say what clone they had? I can’t recall, but if the vines are 20+ years old I’d guess they were something like Geneva or Dr. Frank. But there are many ways to get a wan, lightly colored pinot, so we probably shouldn’t assign total blame to the clones. Here is a link with some of the clones being evaluated by Cornell: http://www.nysaes.cornell.edu/hort/faculty/pool/pinot_noir_folder/pnclones.html . From what I have gleaned, there aren’t that many producers who have planted a lot of the ‘newer’ clones like the ‘Dijon’ clones (e.g. 114, 115, 667, 777, etc. ; these are very big in Oregon). At Standing Stone they just had some of their own vines start producing around 2001; IIRC, they had some Dijon, Wadenswil and maybe Pommard, And Sheldrake Point, who is quite serious about making a good Pinot, has quite a range of the Dijon clones. The winemaker there once told me that the best results are obtained by mixing wine from the various clones, but if he had to choose only one he would take 115 based on the results thus far. As with most things pinot, there are a lot of other variables to isolate. Frustrated by the vines available, someone secretly imported some cuttings from DRC in Burgundy to California back in the ’60s it was discovered that the wine produced was no better than that from previous clones! So it is difficult to predict how a clone that makes good wine in one region might perform in another. Every time I think I discovered a compelling FL PN it seems like the same producer will then go on to produce lesser wines for the next several vintages. This makes it very frustrating to give any sort of advice regarding these wines, except to say that good ones are made now and then, giving one hope that it can be done on a more consistent basis. Dr. Frank has made fairly good PN in several vintages, with their 1989 being perhaps the best I have had from that region. Otherwise, a place called New Land made some good PN in the early ’90s (now run by someone who doesn’t seem to know what they are doing). Lamoreaux Landing’s ’95, Lakewood Reserve ’98, Keuka Overlook ’98, Sheldrake Point ’99 Reserve, Standing Stone ’01, Silver Thread ’01, Fox Run ’02 Reserve, Bloomer Creek ’02 were bottles that gave me hope for the region. Hard to see much of a pattern there, except the places are mostly hands-on, and use estate grown grapes. Better examples seem to be those where the use of oak is restrained and the producer resists the temptation to over processing (i.e. heavy filtering). And most recently, that ’04 Hosmer PN was very good (some of their previous efforts have been nice, but lighter – and made by another winemaker). Thanks for the post and I’m glad you also found your way to the second part of the tasting report. Amazing what bad weather will do to the experience, is it not? I had a look at your own report and see you’re coming round to teh realisation that Cabernet Franc is hands down the red grape best suited to the Finger Lakes. 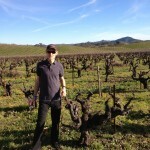 Did you follow my link to my years old round-up of East Coast and French Cab Francs? Anyway, it’s lovely to see a few wine buffs showing up here. I hope other people will visit your reports – and would love to see you link to mine. 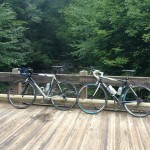 Wanted to say how much we enjoyed you article on the Finger Lakes and the wineries. Our best advice for 2006 is get ahold of the 2005 Red’s, it was a banner year and many will be in short supply but awesome quality. And remember, “a rainy day in the Finger Lakes is better than a rainy day anywhere else”, we always like to say! Thanks for writing in – and , I suppose, a bonus point for not letting on to other readers that you’re from Atwater. I appreciate the heads up on the 05 reds: the Finger Lakes need a good vintage up there to get back on track. Meantime, Atwater was about as much fun as I had in the rain there. good work!